Instructions for using FTP clients vary, depending on which client you wish to use. 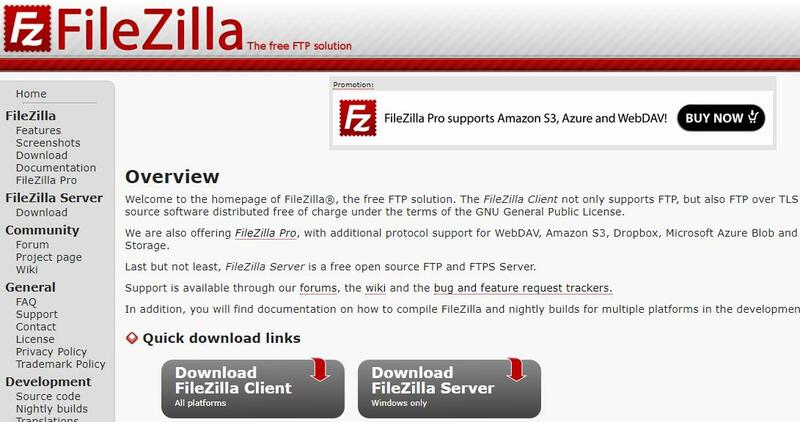 We recommend FileZilla, which has a very intuitive interface and is freely distributed. 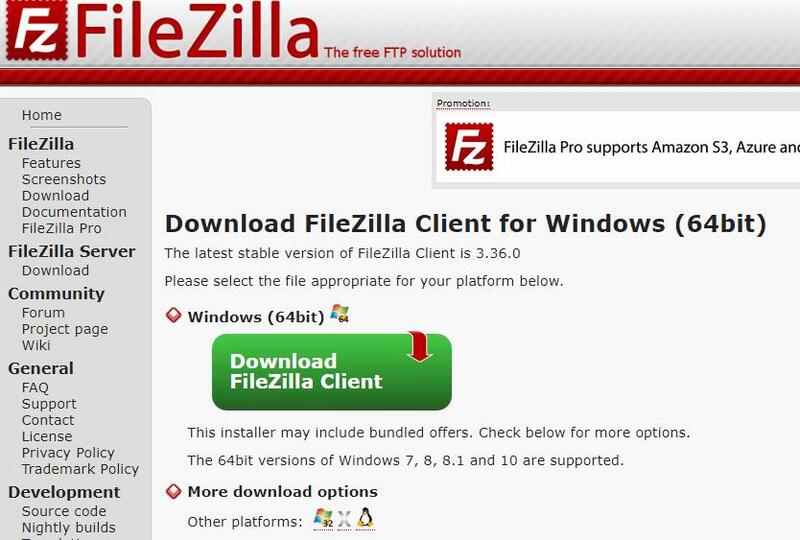 Following are the instructions about how to use the FileZilla FTP client software. 1. Open website filezilla-project.org and then click on ‘’Download FileZilla Client’’. 2. Select platform which you are using e.g. Windows, Linux, click on “Download FileZilla client”. 3. Download the software, click on “Download”. 4. Once you’ve downloaded the software, and then install it by following the prompt instructions. 5. Now you have installed FileZilla. 6. To add a site to your FileZilla client all you need to do is to open FileZilla and access “Site Manager”. 7. When you click on “site Manager” following window will appear and then to add a new site, press “New Site” in the Site Manager. 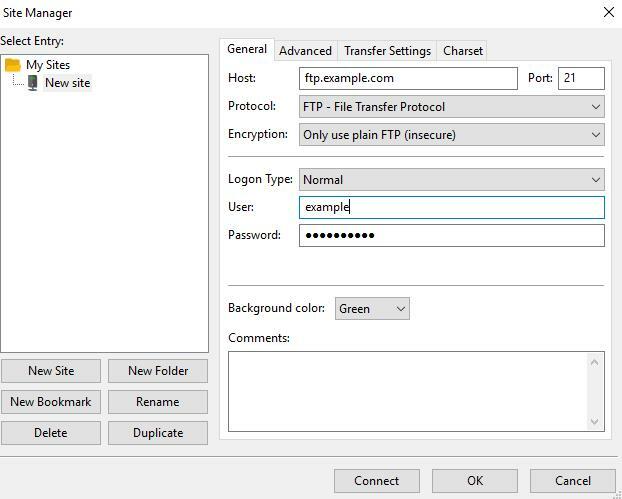 Protocol select from drop-down "FTP FILE TRANSFER PROTOCOL ". 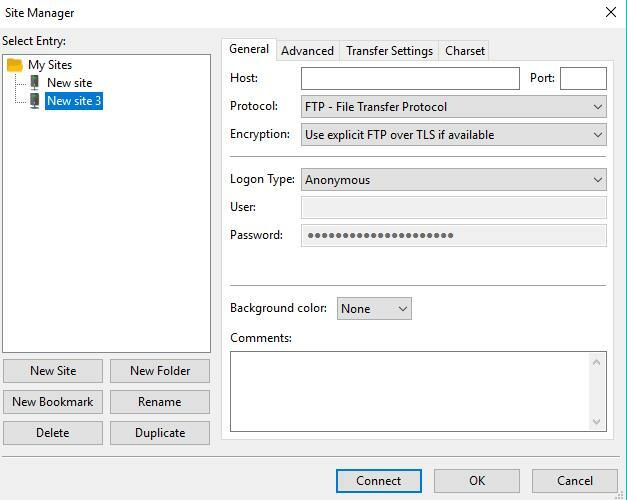 Encryption select from the drop-down "Only Use Plain FTP". Login type selects it from the drop-down "Normal". 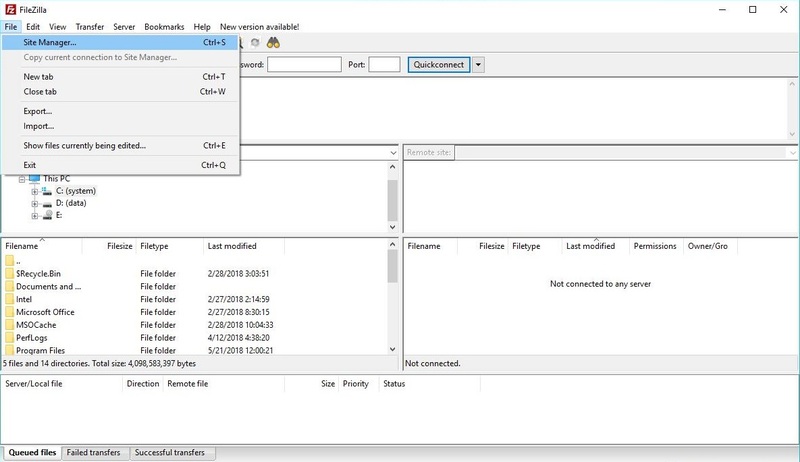 Click on ok, now that your FTP details are saved, you can click connect at any time and access your servers files via FTP. Another popular FTP client which you may use is CuteFTP.